This year I challenged myself to break 2:37 in the marathon. In order to hit that time I would need to get into the best shape of my life. But things have changed in my life from when I raced in college and my training plan would have to take that into account. 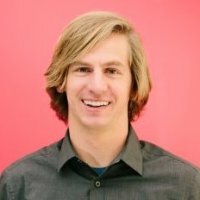 Here are details about the training philosophy I used to race my first marathon. Update: Ultimately it resulted in a time of 2:42:23 – you can read my race report from the Jack & Jill Marathon as well as my race report from the New York City Marathon later that year. Before I get into the plan, here is some background on me as a runner. I ran for my school team’s in high school & college – eventually making varsity at each. I was a good local-level competitive runner, but never state or national level. My PRs back then were 15:53 in the 5k, 4:11 in the 1500 & 34:17 in the 10k (road). I’ve typically thrived on a Jack Daniels’ (not the drink) training system that relied on weekly schedule of 1 long run, 2 quality runs (tempo, hills, track repeats, etc.) & 4 easy days. My seriousness about running progressed with age and by my final years in college, I reliably ran 7 days a week, usually in the 60-70 mile range – missing only one or two unplanned days per year. More recently, in 2014 I trained for my first triathlon, an Ironman which I finished in 11:01:10. The 26.2 mile run at the end of that (after swimming 2.4. & biking 112 miles) took me 3:45. Limited Time – Along with a demanding job, I have a wife and two kids (third one on the way). A few years ago, in 2014, I trained for an Ironman before & immediately after my first son was born. It was pretty difficult for my wife towards the end of that season when I would be gone for 6+ hour training rides. Part of the deal I made with my wife this year is that I could train for a race as long as it wasn’t taking away from my responsibilities at home. My Body Is Older – In college I dealt with running injuries, as almost every runner does. I had knee, ankle & shin problems. That is part of the reason I took nearly a decade off of serious running. I’m now older, require more time to heal and have more injury build up from time – things I need to be sensitive of. The Race is Longer – A lot of running training, especially the early season work is the same no matter what race you are running. Most of it is about building general fitness and efficiency. Eventually a training plan should become more specific to the race – a faster race requires more speed work, a longer race requires longer training runs. With those adjustments in mind, here are the core tenets I landed on. Note that this is an advanced training plan, which will look much different than a beginner ‘finish a marathon’ plan. I wouldn’t recommend this approach unless you were capable of a sub 3 hour marathon. My season would progress in a pretty typical Daniels manner. A prep period of three months to take me from completely out of shape up to being able to run ~5 days a week for ~30 miles. In order to prevent injury I would only increase each week by ~5 miles or 10%. A base period where quality work is slowly introduced as the weekly total mileage continues to get longer. A few tempo runs, some hill repeats, etc. 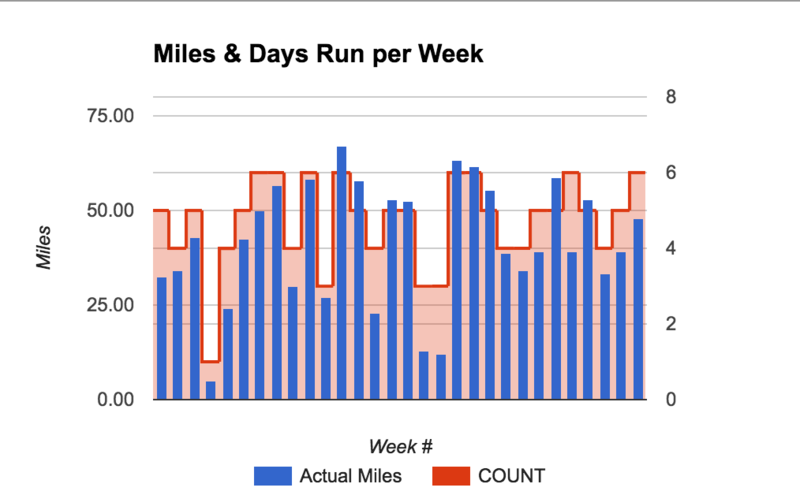 A build period where the weekly mileage totals begin to decrease but intensity increases. Longer tempo runs, track work, etc. A peak period where mileage and volume of quality running decreases in order to rest my body for the race. During each of those phases, I would have three weeks on and a fourth week of rest & recovery. More on that shortly. Here is a visual I made when planning for my Ironman a few years ago. Though I changed a number of aspects of my philosophy (as I’ll describe in the next points) the season progression remained very similar. The template is 1 long quality run, 1 medium quality run, 2-4 easy runs & 0-1 cross training sessions per week. I borrowed this from Jack Daniels, as simplified by my friend Josiah. The difference between this and what I was used to is that it took some of the quality work that was on its own day, and put in on the long run and then made the other quality day a bit longer. What is nice is that it means only two days a week were really important workouts – one which I would do on the weekend, and only one mid week, as opposed to the two I had been used to. That made scheduling much easier. I can always find one morning or evening per week to block 2 hours to train. I can’t always find two. The easy days would all be a run at whatever pace I felt like for 5-10 miles, really whatever mileage I needed to hit my weekly total. Finally, the cross training days were just a way to reduce risk of repetition injury while still adding some fitness. Just a way to get more miles in. I mainly used those during the build up as my body adjusted to running. I preferred to bike and would give myself 2/3 credit for the time – so a 60 minute bike ride at 130 BPM would count for as much work as a 40 minute run at a similar effort. The idea of variance of pace is that each different workout should be trying to stress a particular system(s) of the body, and as such should be at a specific pace(s) and duration(s). Here is an example workout where I touched a number of zones. The average for that ~10 mile run was 8:00, but that consisted of a few miles in the 7s, 15 minutes at 5:30 pace and a lot of recovery time around 9:00 pace. I based the training paces one of Jack Daniel’s pace tables that explain workout paces based on recent race results. I would use periodic time trials to gut check my pace, including a few 2 mile time trials, a 10k race & a half marathon. Since my goal was to run a marathon at 6:00/mile pace, I knew I would need to get really comfortable running at 6:00/mile pace. As such, I planned to focus workouts, when possible, around that pace. I would sometimes shorten or lengthen a workout to get the target pace closer to 6:00 miles. My goal was to build up the miles I could run at that pace on a single day and throughout a week. My first tempo run was 2 miles at 6:00 pace and I was spent afterwards. I continued to increase it by a mile or so per week until I could comfortably hit 15 in a single workout in the 6:00 range. By that point weekly total reached 21 at that pace, split across the two quality days. This is mainly for injury & burn out prevention. Because I’m older now, this is even more important that it once was. While many running plans suggest taking every 4th week as a down week, only running 80% of the normal miles, I learned from my Ironman days the benefits of resting even more. My rest week would be every 4th week and only include 50% of my normal miles and no quality days – my long run would be longer than what I ran during the week, but usually shorter than my typical medium day. The idea is simply more variance. By resting every 4th week, my body would be able to recover more and thus be fresher for the workouts during the normal weeks, allowing me to push harder on those days. In addition to rest weeks, I would take rest days. This was new for me. In college I would run 7 days a week. My plan was to run 5 days and cross train one day to. That would give me one day of complete rest and one low impact cardio training. That should help avoid injury. In reality I ended up averaging 4.7 days a week as I trained for this marathon. You can see below in the red that I didn’t have a single week at 7 days and many weeks were at 3 or 4 days. That extra rest was nice for my schedule, helped fight against injury and also allowed me to push harder on the days I did train. More days training certainly might have helped, but I am happy to have finished a season without injury or burnout. This is prioritized after the previous item intentionally. My goal was to run as much as possible when I felt good – but to stick to my rest schedule to allow that to be true. When it comes to how many miles a runner should log – most runners agree that more running is considered better. Some coaches have gone so far as to say – run X miles per week in order to hit X time in the marathon. There is actually some science behind why that works for multiple runners of different fitness levels. Under that philosophy, most coaches would suggest that I run between 80-100 miles per week in order to hit a 2:37 marathon. I agreed with them at first & decided to aim for high volume. I planned to average 60+ miles per week and max out at a 100 mile week. My actual miles averaged to 41.7, my highest week was 67. If you ignore my rest weeks, the early parts of the season and unplanned sick days my average was closer to 55 per week. Still much lower than many would recommend and less volume than I had planned. The reason for that should be somewhat obvious from the section above. I didn’t actually train six days per week, and I didn’t compensate for the missed days. Part of why I took more days off was needing more rest in order to hit my quality days. What I decided was that my two quality days were the most important and that if I needed more rest to make those happen, then that was ok.
Of the 40 workouts I had planned in the 25 weeks leading up to my race, I only missed 3 and another 2 were slightly adjusted during the run because of how I felt. I put a lot of emphasis on hitting those days at the cost of volume. I believe that was the right decision. The marathon is a race that requires a lot of muscular, cardiovascular and digestive endurance. Because of that, emphasizing long runs was a key part of my plan. That might seem tricky given that only averaged 41.7 miles per week – not even twice the race distance. But when you look at the actual runs, my two quality days would often add up to make up 60-70% of my total weekly mileage. In the 25 weeks leading up to my marathon I did 7 runs of 20 miles or more. That is typically more than most plans call for. The reason is 2.5 hours, which is a typical marathon long run maximum, at my pace totals ~20-22 miles. I did another 8 over 15 miles. In total ~30% of my runs were longer than 10 miles. Looking back at the plan, I would say the general training concepts were perfect for the marathon distance and my level of training. The workouts continually pushed me and got me into great shape. The hardest part for me was consistently running due to a busy schedule and lot of unplanned sickness. Having kids impacted both of those areas. That is largely why I only ran ~2/3 of the volume I had planned. I would say this plan is great for anyone with a bit more free time. As for me, I was generally pushing the limits of what is sustainable in my life during this chapter. Though most of my runs were at night or nap time, I was away from home more than I can be. As I consider future races, I’ll have to make some adjustments to the amount of training I plan. I am actually experimenting with a few things now and will post an update after my next race. The next year I modified this plan to only include three days per week of running – you can read those updates here. Hi! Great read! Do you have a copy of the actual training schedule that you used? Not easily available unfortunately. You can find me on Strava if you want to see the workouts, but it would take some manual work. Previous Previous post: Should We Work?